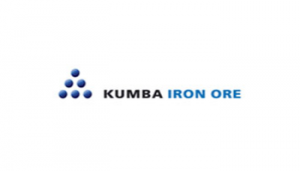 Kumba Iron Ore, an exceptional mining company, offers study opportunity to exceptional students. Bursaries are offered to Matriculants with a keen interest in Engineering and/or Geology and, to tertiary students who are currently studying full time at Universities in South Africa. Kumba Iron Ore’s bursary program is designed for people like you, people with the intent and desire to make a difference in their lives and keep the wheels of the South African economy turning. If you know who you are and where you are going, Kumba can be your vehicle to help you get there. Our bursary program is exceptional and all-inclusive. Applicants who meet all the selection criteria as determined by Kumba will qualify. Preference will be given to learners from our operational local communities (Sishen, Kolomela and Thabazimbi mines). To apply: Print application form. All completed application forms with academic results must be emailed to [email protected] or faxed to 086 645 5160. Should you not hear from us a month after you have applied, please consider your application unsuccessful.